Home » Pictures » Soyeon » T-Ara » T-ara's SoYeon snapped a cute picture with Snoopy! T-ara's SoYeon snapped a cute picture with Snoopy! 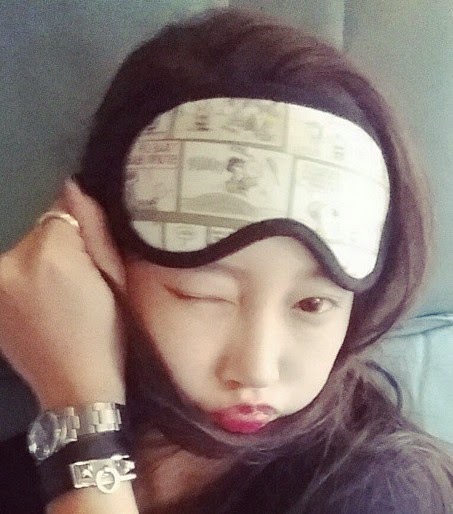 T-ara's Soyeon is back to charm with her cute pictures! Taken at the airport while they were preparing to depart for China, here's her picture where she revealed, "With , #snoopy hi? #snoopy #IncheonAirport Going to #China *". After that, Soyeon also shared, "The skill to make your face look small #GuManager bought for me the.wrong. snoopy eye-maskㅋㅋㅋㅋ but still, thanks"